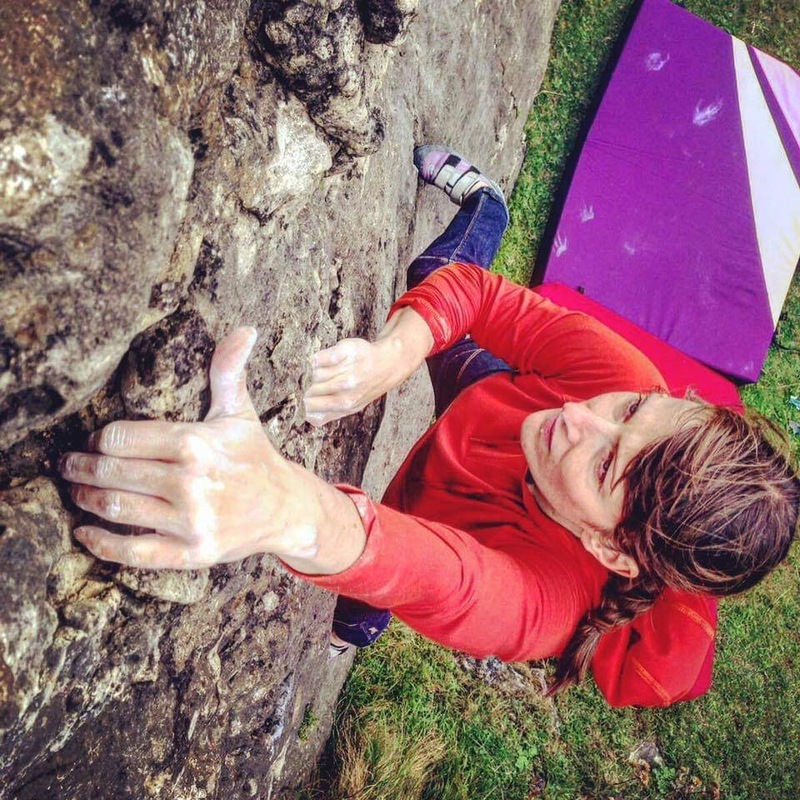 Rock and Ice Contributing Writer Mina Leslie-Wujastyk grills performance dietician Rebecca Dent on all the knowledge she’s gleaned over her years working with climbers. Rebecca Dent eyeing up the next hold. Photo: Kevin Avery. How do you start your climbing day? Do you tuck into some variation of overnight oats or a tasty fry up of eggs and bacon? Perhaps you drink a green smoothie? Or do you just smash a coffee and push on with your day? In the world of climbing, nutrition is starting to take center stage alongside our growing hunger for the latest training techniques. As a community we are starting to realize the importance of fueling both our performance and our recovery, as well as searching for that elusive body-composition sweet spot. Within this growing demand there is undoubtedly a lot of confusion as to “best-practices.” The pitfalls of a poorly governed nutrition industry are obvious; with lots of observational data and anecdotal information—on top of how emotional a subject nutrition is for many—-there is the real possibility of being misled or being taken by some new snake-oil diet. We can’t separate food from culture: from family rituals, established habits, emotional outlet, socioeconomic limitations or freedom, hedonic rewards and creative exploration. Nutrition is more complex than just eating for physiological need. So how can we wade through all the information, all the bias and opinion, to dig out a path that serves us well? As a student of Nutrition (MNU), I have learned a lot about the basics: energy balance, macro and micronutrients, metabolism, energy systems in exercise…. the list goes on and on. However, the resounding takeaway in my learnings so far has been the need—nay, the absolute requirement—for critical thinking and an evidence-based approach. In the past, I have personally struggled with diet, body composition, energy, weight and performance. I tried a ton of different things. Some worked, some didn’t. As a result, I was totally lost. Things that worked once lacked consistency and often didn’t work a second time. In hindsight, I can see the mist I was wading through: the biases I formed, the placebos I experienced and the confounding factors that confused all the outcomes I saw. The missing link was a structured, rational, scientific and evidence-based protocol. This is a good moment to introduce Rebecca Dent, a Performance Nutritionist and registered Dietician.With an undergraduate degree in Human Nutrition (Dietetics) from Cardiff University and an MSc in Sports Nutrition from Loughborough University, topped off with a Sports Nutrition diploma from the International Olympic Committee, she is an extremely knowledgable person on all I’ve brought up so far. 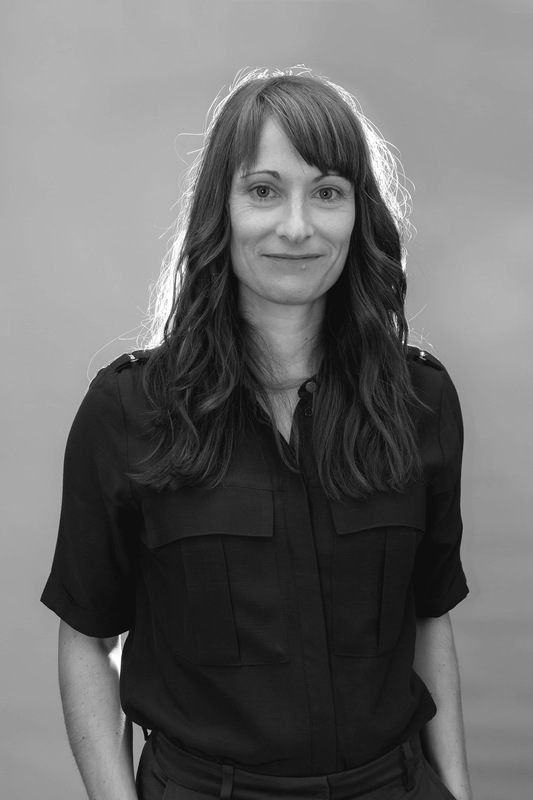 Rebecca lives in Chamonix, France and has worked across a breadth of sports, helping athletes excel in climbing, ultra-running, ski racing and mountaineering, among other disciplines. With her combination of extensive study and practical experience, Rebecca is the ideal person to shed some light on the seemingly complex and confusing area of nutrition in climbing. So, without further ado, let’s delve into her knowledge and experience! MLW: The first place to start in this confusing topic, I guess, is with the basics. What you would consider to be the nutritional foundation for climbing? What should people consider first and foremost? Rebecca Dent. Photo: Sarah Pickering SLP Photography. Dent:The single most important aspect of nutrition for our sport is making sure the climber is fueled for the work required, meeting daily energy requirements to support training, climbing and recovery. Very often I hear about climbers striving to be at their peak performance all of the time, whilst also climbing in an energy deficit to keep their weight down. These two functions are at opposing ends of the scale and I try to encourage climbers to eat enough to fuel their workload but also to accept that, when it comes to climbing and training to improve, you can’t always be climbing at your best or at that sweet spot body composition you know will help you tick that route. In terms of a nutritional foundation: Do the basics and do them well. Time and time again I see climbers trying to find some kind of magic bullet in a supplement or dietary method, but they are not actually doing the basics that will ultimately make the bigger performance gains. —Meet daily protein requirements and make sure protein intake is spread through out the day to ensure optimal recovery and training adaptation. —Consume sufficient amounts of carbohydrates to fuel your climbing/training session. —Include healthy fats daily such as nuts, seeds, avocados and olive oil. All of these factors will support/promote training adaptations, which, over time, will improve climbing performance. MLW: What are the main errors you see climbers making with their nutritional choices and how do you tackle those issues? Dent: The main errors I see center around restrictive eating: limiting food intake to control weight, too much focus on cutting certain foods out while not adding sufficient foods in. A good example of this is how cutting out things like dairy and meat/fish, without adding back in sufficient protein rich alternatives, can result in low protein intake. I have seen this kind of behavior lead to big fluctuations in food intake and result in negative consequences on climbing performance. In these cases it is common to see climbers running out of energy or being irritable/moody due to low food intake and thus lack of energy. Often, climbers who over-restrict have frequent splurges on unhealthy foods because of the level of restriction being carried out. I try to tackle these issues by educating the climber on their individual nutritional needs and encouraging more focus on adding foods in and making every mouthful count towards their overall picture of nutrition, while still valuing food enjoyment. I find this approach and mindset helps to control food intake much better. I will always talk with the climber about the reasons they feel they need to restrict/control eating and why it is important to both climbing performance and health to make sure enough food and nutrients are consumed on a daily basis. I also try to educate on the detrimental impact that this type of approach to eating will have not only on climbing performance, but also our emotional ties to food and health impact. Most often, as climbers make these kinds of positive changes (e.g. making sure they are eating enough of the right types of foods), the proof is quite literally in the pudding. Quality of training sessions and climbing performance all improve and the climber often also feels a positive difference to mood and energy levels. MLW: Climbing and/or training for climbing comes in a myriad of forms that can be really tough on the body. Can you outline how you would advise an athlete around supporting strength/power training and recovery? Dent: Recovery is key. Many climbers I have worked with never like to rest, but it is in the recovery and refueling phase where you reap the benefits from all of your hard efforts! This is where you adapt and get fitter and stronger. When it comes to supporting strength/power training, it is important that protein is consumed in the right quantities and time increments to support training adaptations and muscle repair, but also that carbohydrate is eaten at the rights times in the appropriate quantities to fuel the high intensity effort and aid recovery. For each climber I work with, I provide individual dietary guidelines on timings and quantities of carbohydrate and protein intake depending on training load, intensity, frequency, duration, body composition and other lifestyle/health/medical factors that may interplay with nutrition requirements as well as the climber’s training and performance goals. As a general guide, a starting point for daily protein requirements is 1.6 grams of protein per kilogram of body weight per day (this is suitable for both men and women). This should ideally be spread equally throughout the day in approximately four servings, three to four hours apart (this generally falls into the breakfast, lunch, evening meal, recovery snack/ pre-bedtime categories, consuming approximately 0.3 grams or protein per kilogram of body weight per meal). Visit Rebecca Dent’s webiste for even more great info! Depending on timings of meals in the day before the strength/power session, I may advise an intake of 20 grams of good quality protein immediately after the strength/power session. For carbohydrate, again depending on total intake already consumed prior to the strength/power session, I would suggest approximately 50 grams of easy to digest carbohydrate 30 to 60minutes before the session (or more specifically 1 gram of carbohydrate per kilogram of body weight). MLW: And how might this differ if the climber’s focus is more endurance based? Dent: This all depends on the duration of the climbing session. It is likely that an endurance session may be longer and may require additional fueling during the session. This would be in the form of easy to digest carbohydrates to ensure you are able to put in a good quality effort and train to your full ability within that session, essentially delaying fatigue. A general recommendation may be 0.5 grams per kilogram of bodyweight of carbohydrate per hour (starting from approximately one hour into the session) or simply 30 grams of carbohydrate per hour. Strength/power sessions are often shorter or contain longer rest periods and so you are less likely to need to re-fuel during these sessions. MLW: In the media at large, but also within the climbing media, we see a lot of different “fad” diets or strong nutritional viewpoints going around; miracle diets for weight loss and performance or restrictive diets that demonize certain foods to give a couple of examples. We’re going to tackle a few commonly cited myths in this interview and see if we can separate the evidence based standpoint from the anecdote turned dogma…but before we get into the nitty gritty, can you tell me why you think we have such an issue with this in the nutrition industry? Dent: The nutrition industry is not regulated by law nor does it have any official governance. As a result there is a huge lack of accountability meaning that opinions or anecdotal experiences can be portrayed or sold as seemingly good advice. People often identify with a specific dietary approach, e.g. the ketogenic diet or veganism and can become emotionally attached to their experience, reporting it as the key to better climbing and/or health. Often the new dietary method may have led to improvements such as more energy, climbing harder, feel stronger etc., but confounding factors are being ignored. For example, perhaps they have not only changed this one variable but also cut out a lot of unhealthy processed foods, introduced more veggies, improved hydration, reduced stress, more committed to training or very often it has simply created an energy deficit and generated a weight loss which in the short term may influence climbing performance. In our society there is an abundance of temptation in the form of poor nutrient quality but energy dense foods and often people will resort to these extreme dietary methods as a means of control. There is no sound scientific evidence to support the idea that nutritional choices such as veganism or the ketogenic diet are superior for climbing performance or health. MLW: So onto our first of three nutritional myths: sugar is the root of all evil. I’ve seen many a person decide to “cut” sugar out of their diet for health or performance reasons and while on the surface it seems like a logical step in the right direction, the resultant benefit seems to me to be a by-product of the action rather than the lack of sugar itself. I personally find the tactical use of sugar very handy in some climbing performance scenarios. Can you elaborate Rebecca? Is sugar evil? Should people be cutting it out? Are there situations where it can be a good thing? Dent: There is no sound scientific evidence to support the notion that sugar per se is evil. The carbohydrate intake and insulin response hypothesis is too simplistic to allow us to point the finger at sugar as the primary cause in the development of “inflammation,” obesity and disease. It is important to be aware of confounding factors, for example, those who eat a lot of foods that contain added sugars may also have less healthy lifestyles overall, i.e. sedentary, smoke, excess alcohol intake, a generally poor diet. We don’t tend to eat sugar in bucket loads on its own. What we need to be wary of is eating sugar in the form of high fat/sugar processed foods such as chocolate bars, take-outs, crisps, fizzy drinks, etc. 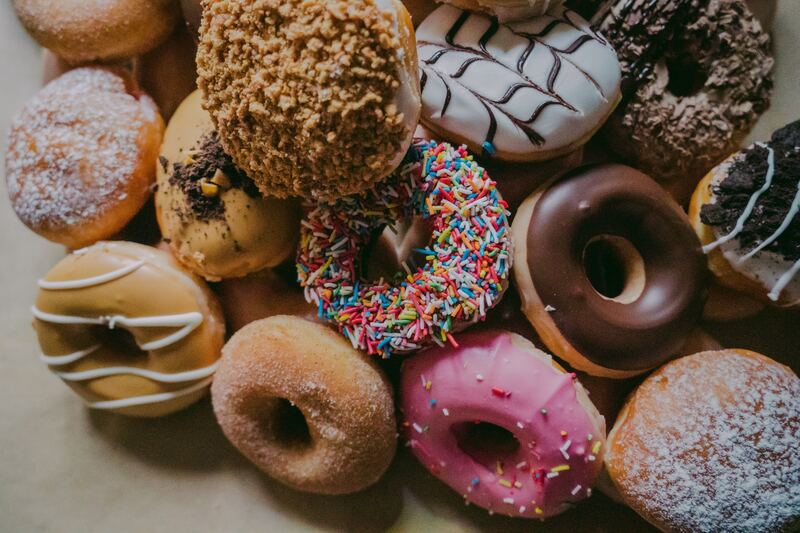 The problem isn’t strictly the sugar, but the fact that these sugar-containing processed foods are extremely palatable, high-calorie, nutrient-poor foods that have no health benefit when consumed. Those who attempt to cut out sugar in their diets are most likely cutting out these highly palatable processed foods and replacing them with more nutritious foods and that is where the benefit comes from: an improvement in overall diet quality and not a decrease in sugar per se. Of course some population sub-groups, such as pre-diabetics or diabetics, do need to be conscious of sugar intake both in terms of quantity of intake of refined sugar and carbohydrate rich food sources. Demonizing sugar often comes from a lack of understanding around the physiological processes and a need for more awareness of the research around sugar, particularly about the intake of sugar/carbohydrate consumed around exercise. Carbohydrate (and that includes sugar) can be beneficial to climbing performance and a significant body of research has shown this. MLW: Next up, once you’ve cut the sugar, it’s time to get rid of all those nasty carbs…. Now, don’t get me wrong, I have been down the low carb route in the past and for a while I was quite fond of it (who doesn’t love bacon and avocado?). But is low carb or the ketogenic approach a sensible way to fuel the body for a sport like climbing? What’s going on in our muscle cells when we eat fats instead of carbohydrates? Dent: All carbohydrate is digested and broken down into sugar. The low carb/ketogenic diet can be used as a means to achieve weight loss because it encourages the user to be very restrictive, resulting, more often than not, in an energy deficit, which then creates weight loss. When the carbohydrate we eat isn’t used straight away for energy it is stored in our muscle and liver cells as glycogen. For every one gram of carbohydrate stored as glycogen, we also store three grams of water. So, when in an energy deficit and especially when restricting carbohydrate intake, glycogen (carbohydrate) storage will be reduced and this loss of water contributes to the greater rate of weight loss usually seen in the initial week of a diet. However, when following a ketogenic diet, this lack of glycogen within the muscles will have negative implications on quality of training such as early fatigue in the session, not able to climb/train hard and put in a good quality effort. The research and physiology clearly shows that for a high intensity sport such as climbing, carbohydrate is the primary fuel source to support climbing performance. It is all to do with the energy systems within our cells and how quickly the muscles require the energy. Research has shown that at higher intensities the predominant fuel source oxidized for use as energy is carbohydrate. Eating a low carbohydrate diet that induces ketosis (less than 20 to 50 rams of carbohydrate is consumed per day to create ketosis) causes the body to use ketones and fatty acids as a fuel source. Although ketones and fatty acids can be oxidized by the muscle as a fuel source, it is not as efficient. Carbohydrate is oxidized at a faster rate than fat and when climbing the movements are as such you need your muscles to move quickly thus require access to a quick energy source (as opposed to an endurance runner who is exercising at a relative lower intensity). If following a ketogenic diet you are still going to be able to climb but most likely experience a reduction in your ability to climb hard/climb well/fatigue earlier. I do not mean to demonize the ketogenic diet here—people can live healthy lives following this dietary regime and there is good research to support its uses in clinical areas such as epilepsy, severe mental health disorders and ADHD. There is also evidence to support it’s uses in obesity and type 2 diabetes. However, the ketogenic diet is not the only means of weight loss for obesity or blood glucose control for diabetes but is one approach that can be used in the tool box. It all comes down to compliance and adherence and what suits the individual in this instance. MLW: Last but not least, “clean” eating. I’ve seen this in many forms, often organic only, whole foods with no processed ingredients coupled with the rejection of things like gluten and dairy. There are a few points to discuss here: firstly lets talk about the idea of “clean” eating itself. What are the wider pitfalls of this kind of approach to food and diet? Dent:First of all, there is no such thing as “clean eating;” it is not a scientific term and it is pretty meaningless when it comes to our dietary intake. Where in the scientific literature does it define which foods are “clean” and which foods are “dirty”? This is the same as labeling food as “good” or “bad.” Food intake, and its resulting impact on health, is way more complex than this over-simplistic, black-and-white approach. We need to move away from such terminology and use better language around food to both educate people and improve dietary intake and eating habits. MLW: For the non-coeliac and non-lactose intolerant among us, is there any benefit to cutting out things like gluten and dairy? Is there any evidence to suggest that they are inherently bad? Dent: Quite simply, there is no sound scientific research to support the concept that these foods need to be avoided unless the individual has a known intolerance to these foods. What often baffles me is seeing people cut out these foods because they have heard they are bad, yet quite often these very same individuals will have glaring obvious dietary or lifestyle habits that have a far greater negative impact on their health/performance, e.g. excess alcohol, smoking, sedentary lifestyles, eating poor quality, low nutrient-dense gluten free/lactose free food alternatives. The removal of these foods is often done without consideration of their nutritional benefits and therefore aspects of their nutritional profile are not being replaced, which can increase the risk of becoming nutrient deficient. MLW: To finish off, can we have three key takeaways from you – actionable points that you would have a reader consider first and foremost to help them along their nutritional journey. Dent: 1) Try keeping a food diary for a few days to understand your current picture of dietary intake. Think about what works well for you; could you potentially be adding more foods, are you doing the basics well and consistently? 2) Make sure you are eating enough protein daily but also in each meal and in your recovery. 3) Fuel for the work required! Meet your daily energy requirements (taking into account an increase in energy demands when you train harder/longer/more frequently) and consume a source of carbohydrate around your climbing/training. This will help delay fatigue in the session and perhaps enable you be able to put more effort in or train for longer which will ultimately help you reach your full climbing potential.